Islands across the Caribbean have been distraught since the devastation of the last hurricane occurred. Hurricane Irma was the worst natural disaster to hit Puerto Rico in the last century. It’s been almost a month since the hurricane hit the island. As global citizens we must unite in helping Puerto Rico. 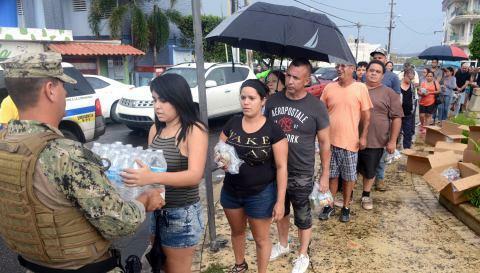 The island has virtually no running water or electricity, here’s how you can help with hurricane relief in Puerto Rico. Many organizations are asking for cash as opposed to supplies so they can send support where its most needed. We’ve listed all hurricane relief organizations below if you wish to donate and aid the island in need. GoFundMe -includes various campaigns for Hurricane Maria. The National Voluntary Organizations (VOAD) is accepting supplies and volunteers. Most of the Caribbean is without power, we must unite, spread the word of their troubles and assist in any way we can. We hope everyone is keeping positive and receiving all the help they can during these tough times.